Bubble Wand Butterfly Craft for Kids! 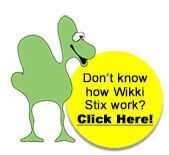 With spring just around the corner, after school time with kids can be a FUN time to create and play with Wikki Stix. The Bubble Wand Butterfly crafts, created with the Rainy Day Activity Pak, will enhance learning, encourage creativity, and provide FUN outside play with the created bubble wands! Wikki Stix Bubble Wand Butterfly Craft for Kids! Set out all craft materials on a table or a large tray as an invitation for the kids to create. 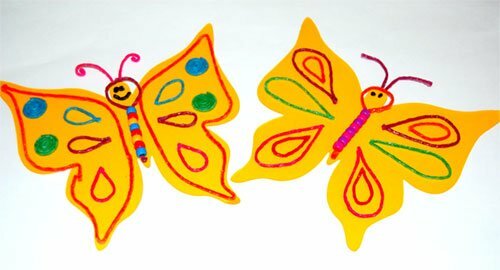 Kids can decorate the butterfly template in any manner desired. Kids will have fun selecting Wikki Stix colors for their craft. 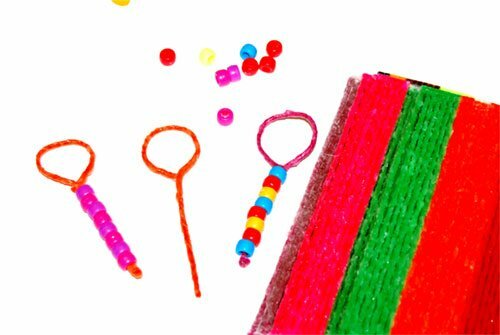 Wikki Stix is easily cut with safety scissors so younger kids (ages 3+) can create and play, too! Invite the kids to explore symmetry by decorating the butterfly wings with identical patterns, shapes, and colors of Wikki Stix. Eyes, Mouth, and Antennae for the butterfly can be added with small cut pieces of Wikki Stix. Invite the kids to make a loop at the top end of any color of Wikki Stix. If desired, kids can decorate and explore color patterns by adding various colors of pony beads to the Wikki Stix. Pony beads can be threaded easily onto a Wikki Stix. When finished, have the kids press the end of the Wikki Stix upward so the pony beads stay in place (see photo). Press the bubble wand onto the butterfly center to form the body of the butterfly! 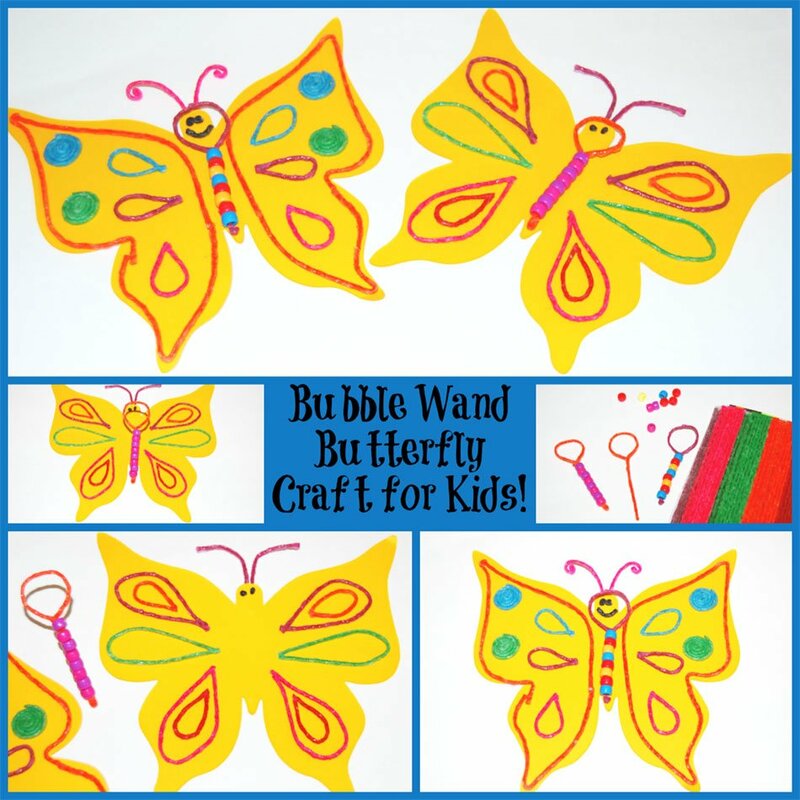 When finished creating, kids can simply lift the bubble wand from the butterfly craft to use for outside play. Dip the round end of the wand in commercial or homemade bubble wand solution (see recipe below) for fun springtime play outside! Stir sugar into the warm water until the sugar dissolves. Add the dish soap and then whisk the ingredients together. Blow bubbles outside with the Wikki Stix created bubble wand! 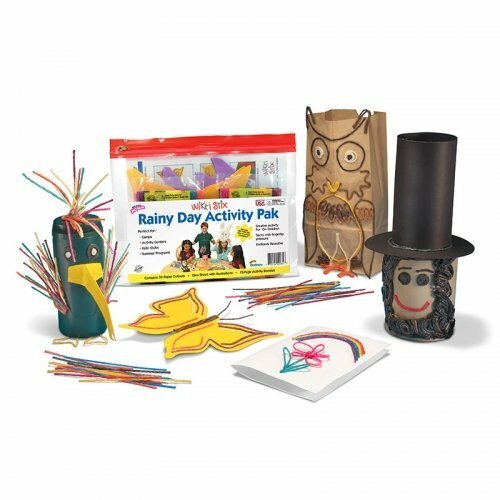 Be sure to check the Wikki Stix Blog next week for more ways to create and play with the Wikki Stix After School FUN Kit!